Holiday shopping doesn’t have to be a hassle, and it doesn’t have to be a last-minute bonanza. Nor does it have to involve the clogged parking lots of a mall or a frenzied shopping spree on Amazon. Instead, try taking a big breath and making this holiday season one to remember – for your loved ones and yourself. The skilled holiday shopper knows the best place to scour for a truly unique and meaningful gift involves a trip to one of the many downtown districts scattered around our region. Epicenters for dining, food and shopping, these charming business districts are filled with homegrown shops peddling all types of treasures – much of which you can’t find elsewhere, even online. While you’re browsing for creative and meaningful gift selections, take some time to enjoy the day for yourself, perhaps with a casual meal at a locally owned bistro or a scouting mission for your own must-haves. To get you started on a shopping experience worth remembering, we’ve found five of the best downtown districts to explore this season. Maybe you’ll find everything on your list in just one community, but if not, enjoy the ride! 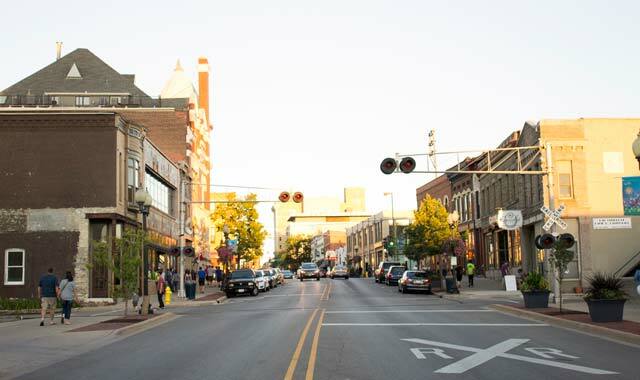 Loaded with locally owned shops, Rockford is a great destination for a holiday shopping spree. 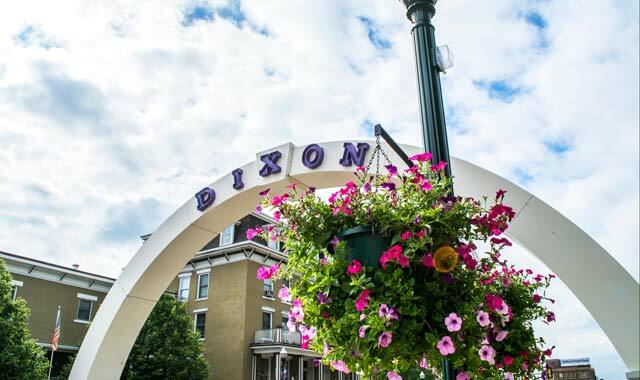 The downtown, now enjoying a renaissance, is filled with unique destinations, but retail gems and delicious eateries are thriving throughout the city. The shelves are stocked with wine – a perfect gift for any host. Beer and spirits are also available, or opt for a personalized gift basket. Surprisingly thorough expertise is provided at no additional charge. Great gifts don’t need to come in small packages. Fireplaces, gas- and wood-burning stoves, smokers and grills will warm anyone’s heart this holiday season. For a classic gift, jewelry is the key to making your loved one smile. Shop for wedding rings and fashion jewelry in this spacious store, or take advantage of design and repair services. Specializes in luxury cosmetic/skincare products for men and women. Favorite products include Detox Body Oil, Velvet Rope lipstick and Luminizer X Quad eyeshadow. For an outdoorsy loved one, here’s everything you need for your next adventure. Stop inside for equipment sales or rentals, lessons and guided trips, plus apparel for any outdoor excursion. For a more casual setting, try Mary’s Market Cafe & Bakery, Tavern on Clark or Maciano’s Pizza & Pastaria. For a white tablecloth experience, try Josef-Barbados or Franchesco’s Ristorante, and for something in between, try tacos in an urban setting at Taco Betty’s. Make holiday shopping fun by visiting stores with personality. Rockford is full of cute, classy boutiques that are fun to explore, such as Porch Inc., Trove Vintage and Salvaged by Sonya. Find stunning pieces of jewelry, mid-century modern furniture and dressy items of home decor at all three of these locations. Beloit is brimming with cute little nooks that carry vintage treasures. Discover the perfect gift for a special someone, enjoy exhilarating recreation, participate in culturally enriching experiences and take in the city’s charming downtown. This restaurant, market and preservation kitchen features local foods from local farms. Find artisan snacks, beer, wine, Wisconsin cheeses, local grains, honey and more. The kitchen carries favorites like cherry bomb hot sauce, beet ketchup, spicy dill pickles and fermented kimchi. Take a leap of faith and gift a skydiving experience. Skydive the Rock operates out of the Beloit Airport, where the adventurous can tandem skydive or learn to jump alone. While you’re there, consider riding along in dual control gliders. The Industrial Age makes a comeback at this rustic-meets-modern hotel. Book a romantic visit and access amenities such as Beloit Club’s pool, golf course and exclusive dining. This 10-day tribute to the power of film kicks off Feb. 23, 2018. Purchase tickets in advance or gift a membership to BIFF’s film society, which comes with tickets, discounts and free entrance to encore showings throughout the year. Favorite dining spots include Lucy’s #7 Burger Bar, known for its gourmet-stuffed burgers, and Zen Sushi, beloved for exciting Japanese dishes. For breakfast or brunch, try Bagels & More, and for mouth-watering steaks, seafood and chicken specialties, try Merrill & Houston’s Steak Joint, located inside Ironworks Hotel. Beloit is home to hidden gems that are culturally enriching, including the Logan Museum of Anthropology and the Wright Museum of Art. Both offer opportunities to appreciate and interact with large collections and exhibitions, and both are located at Beloit College. While you’re there, walk around the grounds to see several Native American effigy mounds. Monroe Square is loaded with interesting shops, mostly locally owned. This Wisconsin city is beloved for its cheese, wine and beer, plus other treats with Swiss and German influence. Browse through a variety of handmade and eclectic items. Selections include handmade tablet cases, embroidered towels, milk and cookie sets, jewelry, scented candles and cute snowmen decor, for starters. Take your pick from sparkling pieces of fine jewelry, including wedding bands, engagement rings, watches, sterling silver and estate jewelry. Locations are also in Belvidere and Freeport. From ancient classics to the latest bestsellers, this nook has a large collection to occupy any bookworm. The used books are lovingly cared for and in good-as-new condition. There’s also a display of unique, handcrafted artwork for sale. Monroe specializes in all things cheese. Stop by Baumgartner’s Cheese Store & Tavern to fill a gift box as you like with favorites such as 5-Year Cheddar, Mild Brick and Baby Swiss, plus sausages and mustards. Swiss Colony is also known for exceptional cheeses and sausages, plus pastries, pies and other treats. Alp & Dell Cheese has more than 125 specialty cheeses, plus wine and beer. 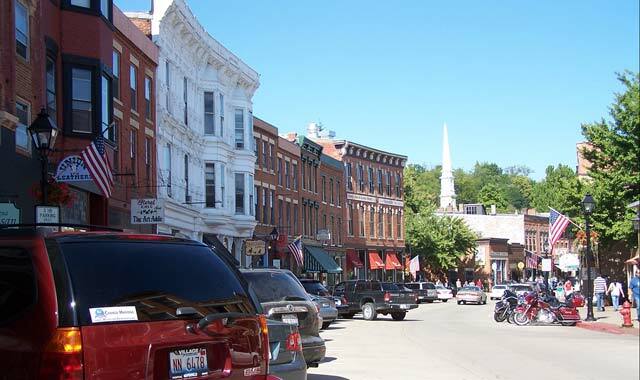 The charming city of New Glarus sits just 16 miles north of Monroe. 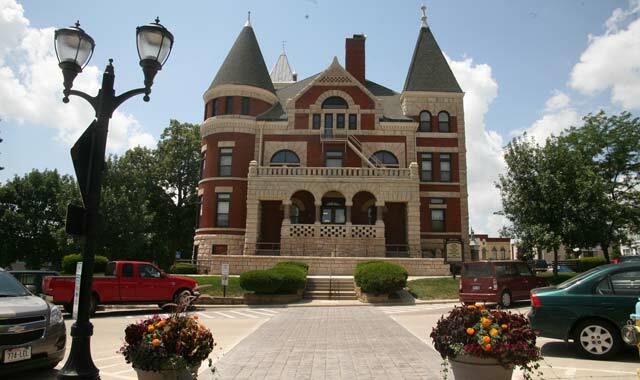 Tour the famous New Glarus Brewery and stock up on Spotted Cow; gorge at Sugar River Pizza Co.; and wander through unique shops such as Brenda’s Blumenladen, The Bramble Patch and Esther’s European Imports. The drive alone makes a visit worthwhile. Take in the view of rolling hills and glances toward the Mississippi River as you venture into a downtown with mid-19th century architecture. It’s a real adventure exploring the myriad of shops and restaurants the city has to offer. Taste award-winning wines, produced locally, before selecting your favorites. Sign up a die-hard wine-lover for the Wine Club, and they’ll have three bottles shipped to their home four times a year. This fun, funky shop strives for a “beyond the ordinary” experience. 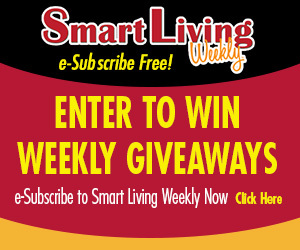 Shop for toys, games, books, jewelry, home decor, one-of-a-kind art and everything in between. Need a little help finding a gift? Ask a “Poopette” for some personal shopping help. Treat your loved one to something shiny and memorable by gifting a unique custom jewelry piece. Look for eclectic clothing, collectibles and popular Grandco sandals. Need a gift for a sweet tooth? Here you’ll find shelves upon shelves of treats. Small batches of fine, hand-dipped chocolates are a specialty of this confectionery. Be sure to taste the shop’s signature item: Pecan Georgies. For a casual pub-style meal, swing by Durty Gurt’s and enjoy some burgers, fish ‘n’ chips and other quick bites. For comfort food, opt for a double-decker pizza at Procento’s Pizzeria. Fritz & Frites has European-style fare, such as schnitzel, steak frites and garlic-roasted chicken, while The Galena Brewing Co. offers house drafts, bar bites and live music on the weekends. Make this a weekend trip by staying at the Goldmoor Inn, Galena’s premier bed-and-breakfast overlooking the Mississippi River backwaters. While in town, downhill ski at Chestnut Mountain Resort and tour the U.S. Grant home. The word “welcome” is part of this city’s lifestyle. 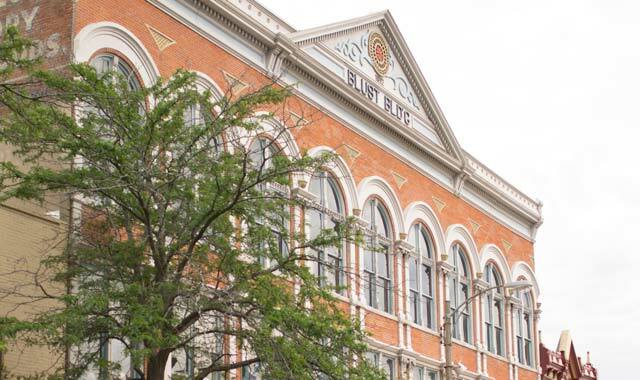 From family-owned shops to museums and cultural events, there’s plenty to see and do. Gifts of high-quality teas and whole-bean specialty coffees are always appreciated. Grab a pastry, sandwich or warm drink for yourself as your shopping day commences. Fifteen wines are available, including full-bodied reds, refreshing whites, luscious fruit wines and sweet dessert wines. Everything is made from local grapes, and many wines are award-winning. This talented artist creates exquisite hand-made Santas in all kinds of themes, from Fishing Santa to Harley Santa. Call (815) 541-8890 to discuss ways to create a personalized Santa Claus. Does Mom want a new sofa? Or perhaps a new refrigerator? Find a wide selection of options from top brands in the furniture and appliance industries at this locally owned specialty retailer. To add some cultural flare to your day, visit Freeport Art Museum and see world-class exhibitions. The 14th annual Regional Juried Exhibition is on display until February, featuring work by local artists. Find artsy gifts, too. Located midway between St. Charles and Rockford, this quaint community gets the best of both worlds: suburban proximity with a relaxing, pastoral setting – and all the charm to boot. 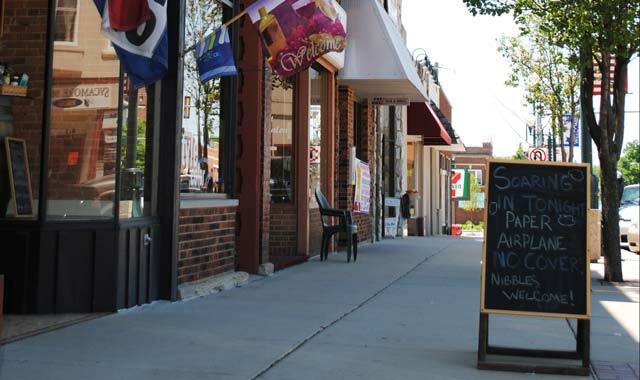 Make a day trip here and wander into neighboring DeKalb, home of Northern Illinois University. You’ll find several antiques stores in town, but this one is a standout. Its cozy space is filled with treasures from many time periods, gathered through estate sales and locations around the world. Visit the store’s annex to see exclusively antique furniture. Just as its name promises, this store is filled with creative, original gifts handmade by local crafters who love that traditional country aesthetic. Before it was beloved for its wedding venue, this beautifully restored industrial property was revered for its lush   garden center, which still operates year-round. This season, look for holiday and home decor as well as workshops for the cabin-fevered gardener. An extension of the Genoa-based Prairie State Winery, this relaxing tasting room carries each of the winery’s 35 varieties, many of them award winners produced from Illinois-grown grapes. Comfort food reigns at this classy, yet relaxed restaurant where pot roast, cedar-planked salmon and jambalaya are top entrees. While you’re there, say hi to David Waeghe and his wife, Natalie, the restaurant’s namesake. Have fun with the family and support a worthy cause with a museum membership at Midwest Museum of Natural History. Starting at $35 a year, memberships provide free admission all year, in addition to perks like members-only events, reduced fees and guest passes. Giftable items are tucked in fun shops all throughout our region. For the expert road-tripper, we’ve picked out a few additional cities to explore, along with a must-visit store. Wines from around the world make their way to Crystal Cork Wine Shoppe. You can also have bottles or glasses specially engraved. The city, not the state. Visit Oregon Soap Shoppe for handmade, three-in-one specialty soaps that can be used for showering, shaving and shampooing. Ask about soaps for special skin conditions, too. If you’re looking for a one-of-a-kind treasure, chances are you’ll be successful at Cracker Jax. Soy candles, incense, gemstones of every kind, books, antique furniture and vintage jewelry are just the tip of the iceberg. For warm socks, cute boots and winter-approved jackets, visit The Complete Sheep Shoppe for all things wool. Woven throughout the store are popular brands such as Ugg, Minnetonka, Acorn and Qwaruba. Got a friend with a green thumb? K & W Greenery is a dependable stop for trees, shrubs, flowers and landscaping materials. There’s even a gift shop selling housewares and decor. Make sure to also stroll through the newly opened shops of Block 42, including So Chopped, The Bodacious Brew and The Bodacious Olive. 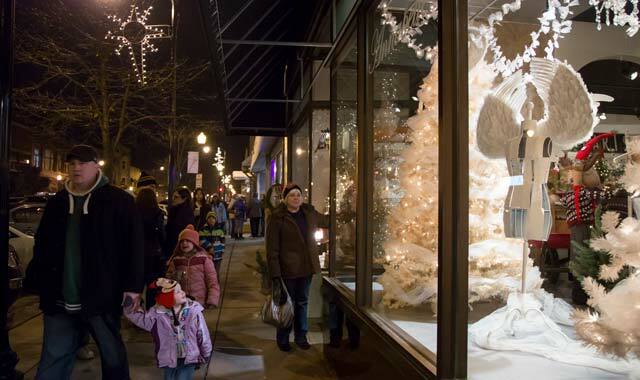 Busy every time of year, Lake Geneva can easily serve as a one-stop city for finding gifts. Visit Cornerstone Shop & Gallery for treasures in every corner, literally. The store carries clothing and accessories, home decor and kitchen ware, toys and games, plus a friendly, helpful staff to help you navigate through it all. This entry was posted on Monday, December 4th, 2017 at 11:59 am	and is filed under Features, Top Posts. You can follow any responses to this entry through the RSS 2.0 feed. Both comments and pings are currently closed.